The article looks at the Best-of-Breed approach RTCSNV took in helping revolutionize the rider experience for riders in Las Vegas by linking together Masabi and Transit App. 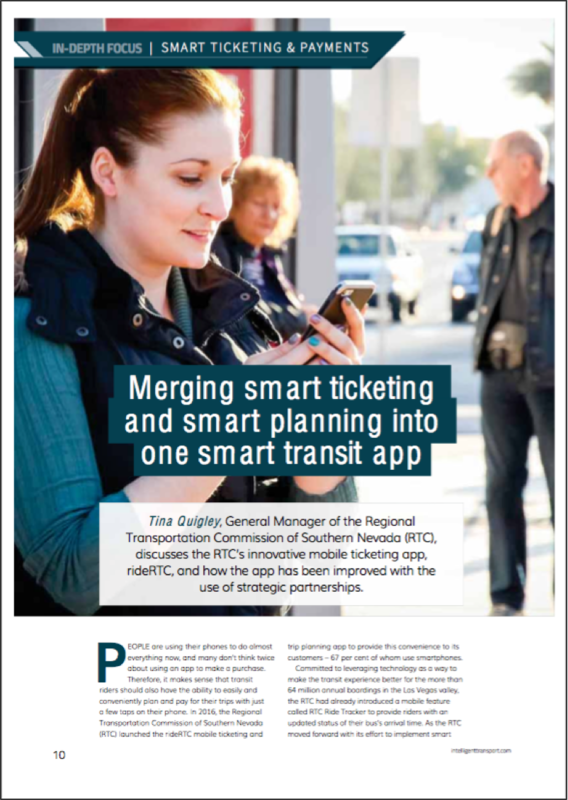 The RTC believes enhancing transit service with customer friendly planning and ticketing options like the rideRTC app can make transit a more accessible and viable option. Since the introduction of rideRTC last year, passengers purchased more than 160,000 passes, saving the agency approximately $16,000 in ticket printing costs alone.